Most people are aware that giving money to charity is usually tax deductible. When you file your yearly return (individual or business) you can save by donating a portion of your income to your favorite cause. Let’s take a look at 5 ways your financial health could benefit from charitable giving. As you probably know, tax deductible gift to charity can reduce your taxable income. These reductions range from from 15% to 35%, depending on your tax bracket. As your bracket goes up, you may gain better tax incentives for your contributions. While certain types of charity organizations will not qualify for a tax deduction when you give, most of them will. Foreign governments and charities are exempt from deductions, as are certain private foundations. Giving money to a needy individual is awesome, but not tax deductible. If you aren’t sure if your contribution will provide tax benefits, be sure to ask. Most people think about cash donations being associated with tax deductions, but material donations also count. Think of organizations like Goodwill or the Salvation Army. If you’ve owned property for at least a year and donate it to a charity, the value of that deduction is usually the same as that property’s fair market value. It makes an even better deal for you if the property donated has appreciated over the time you’ve owned it, since market value would be more than what you paid. Keep in mind that items are only deductible if they are in “good condition or better.” Just make sure to ask for a receipt for your donations. The IRS does place limits on the deductions you can take for charitable giving, but those limits are pretty high. The more you give, the more you can deduct, up to 50% of your contribution base. So for example, if your adjusted gross income is $90,000 in a given year, your deductions would be capped at $45,000. Your individual limits may be lower (20-30%), depending on your situation. But if you donate more than your eligible limit in one year, you can carry the excess over for up to 5 years. Any donations you make can be applied to the year in which they are given. So even if you mail a check at the end of December 2017, and the check isn’t cashed for 3 months, you can still take that deduction in 2017. The same rules apply to credit card contributions. You can claim the deduction in the year your credit card was charged, even if you don’t pay back the credit card company for another year. When making charitable donations, be sure you keep good records and always ask for receipts. The IRS will not allow a deduction for separate contributions of $250 or more without documentation from the charity (you cannot use a canceled check). 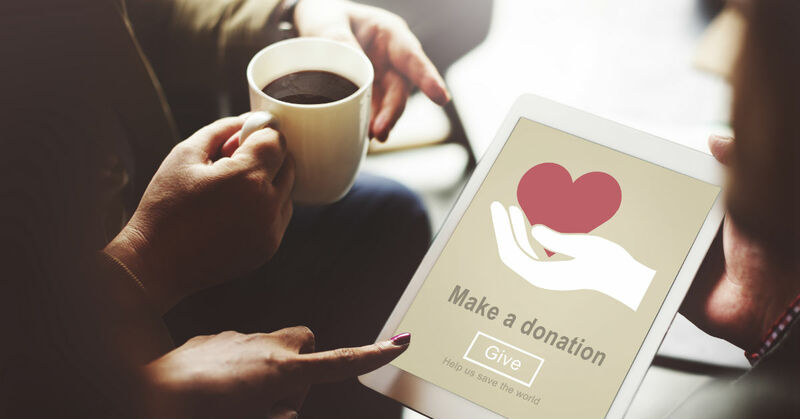 When you’re ready to give, look for tax-exempt or 501(c) organizations such as churches, charitable hospitals, publicly-supported foundations, or certain private foundations that distribute donations to public charities. Provide your accountant or CPA with documentation of all your contributions to claim any applicable deductions.